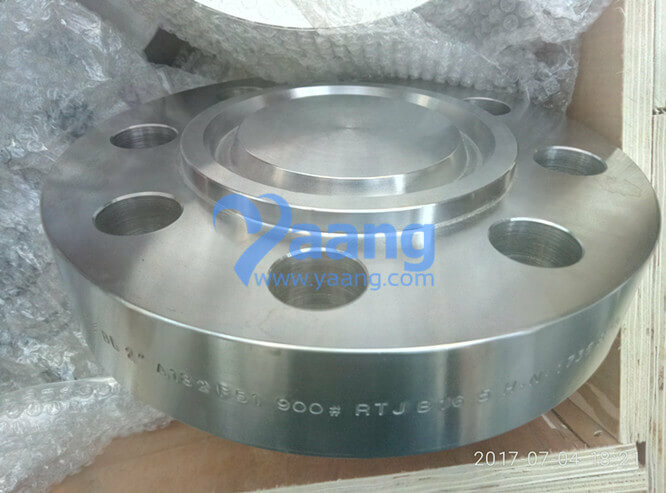 F51 Blind Flange RTJ has a long tapered hub and are often used for high pressure applications. 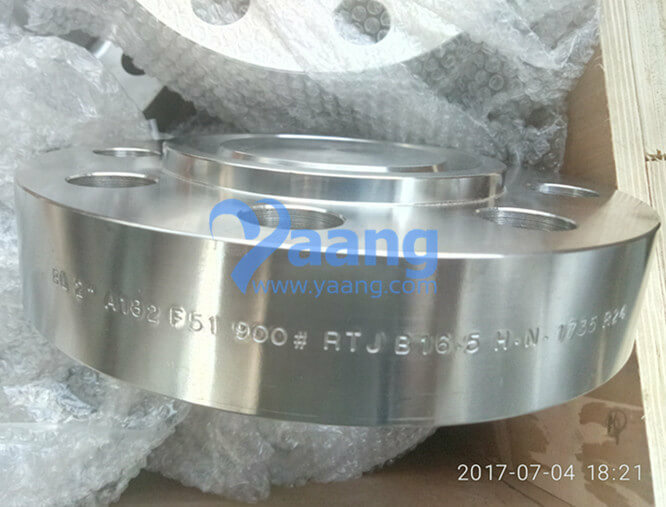 When ordering a weld neck flange, it is important to specify the schedule pipe is being used for. This is because the inside diameter of the flange will match the inside diameter of your pipe. The buttweld joint this flange has with the pipe along with the tapered hub, makes this flange very resistant to dishing and a very sturdy connection. 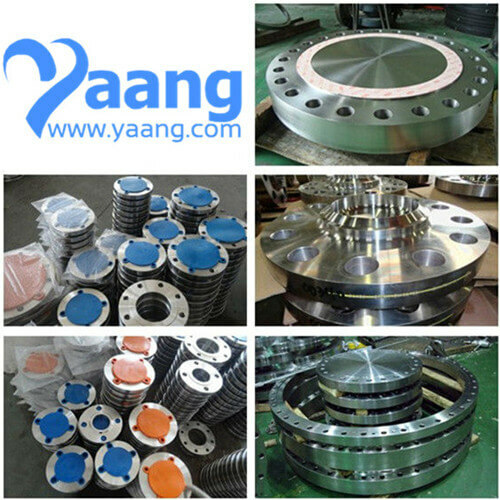 China Flange Manufacturer Yaang supplies ANSI B16.5 ASTM A182 F51 Blind Flange, RTJ, DN50, SCH80, CL900. 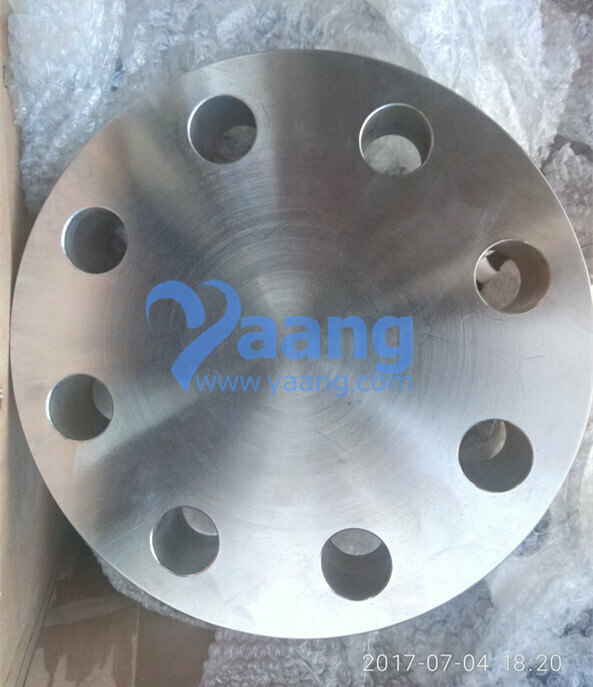 Where can we find the high quality ANSI B16.5 ASTM A182 F51 Blind Flange.